Groceries for July were delivered early, i.e. on 21st July, so that our Muslim families can use them for the fasting month. After a hearty breakfast, our MOW FOOD BANK volunteers were all ready to load the bags of rice and boxes of groceries onto the MOW baby van. 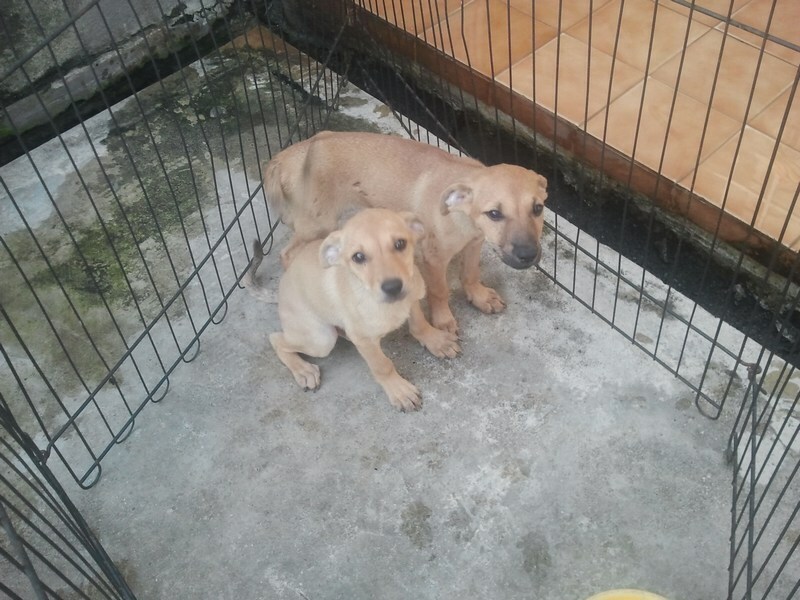 And off they went to the first stop, PPR Desa Rejang, where the families were eagerly waiting for the monthly supplies. The families with school-going children also received reimbursement for their children's school bus fares for May/June, ranging from RM80 to RM210 per family. 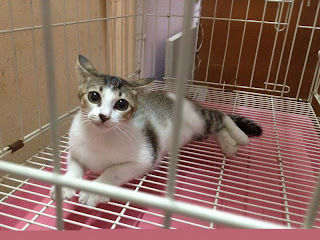 Thanks to a generous donor, the money came in useful for additional expenses during the fasting month and Raya. Kim delivered groceries to the Maran family on 28 July. Sasi was just fed his milk by the mother Vijaya and is sleeping on the floor, his usual spot near the house TV/radio. Since its a Sat, the other children were at home too. They were just about to go to their sister's school. 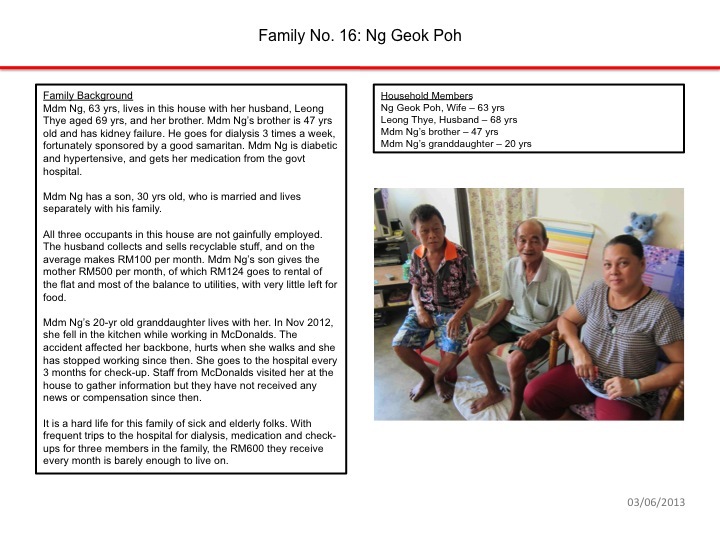 She will be sitting for her UPSR this year and the parents are required to meet the teacher after the results of every school exam to review her performance. She promised the mother she can score 6As and 1B ... which in my view is pretty outstanding considering the family's socio-economic situation. And also a BIG THANK YOU to Yen Ling and her friend who visited the 8 Muslim families in PPR Desa Rejang and Taman Melati on 20th July and presented each family with flour, sugar, margerine, grape cordial, cooking oil, tray of eggs, potatoes and dates (kurma). They also gave each family a raya packet of RM50, and each child a raya packet of RM20 plus a pack of goodies containing chips, chocolate and jelly. 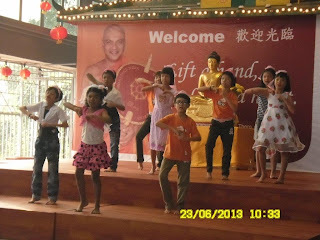 The haze did not dampen the jovial atmosphere of Puan Sri Mae Cheng's birthday celebration at Ti-Ratana Welfare Society (TRWS) on Sunday, 23rd June 2013. 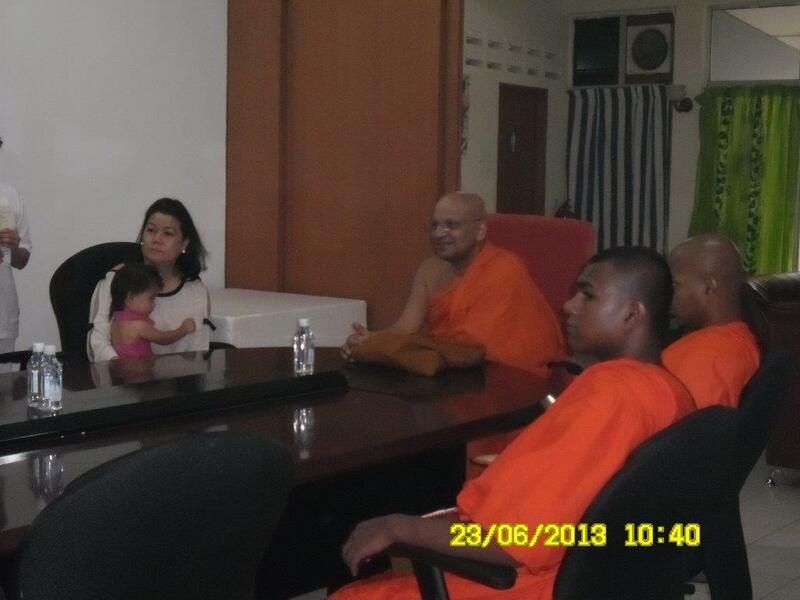 Upon arrival, Puan Sri and her family members were met by Ven. 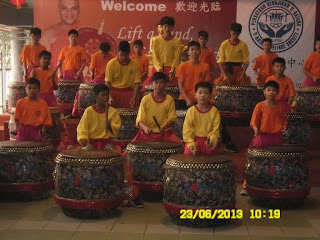 Datuk K. Dhammaratana. 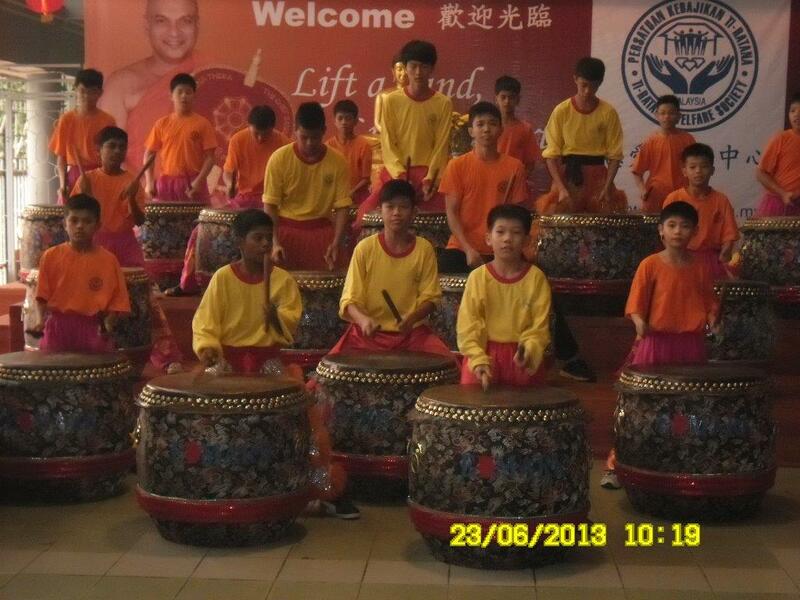 Puan Sri was then given a rousing welcome to the beat of the the 24-drums performance by the children of Ti-Ratana. 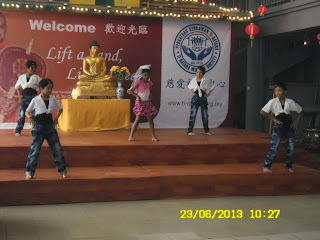 The guests of honor were further entertained by the children with more performances. Datin Catherine Lai briefed the special guests about Ti-Ratana Meals on Wheels and Welfare Society. A tour of the TRWS facility gave Puan Sri and her entourage the opportunity to visit the residents of TRWS, including the sickly, the old folks and babies. This was followed by lunch dana for Ven. 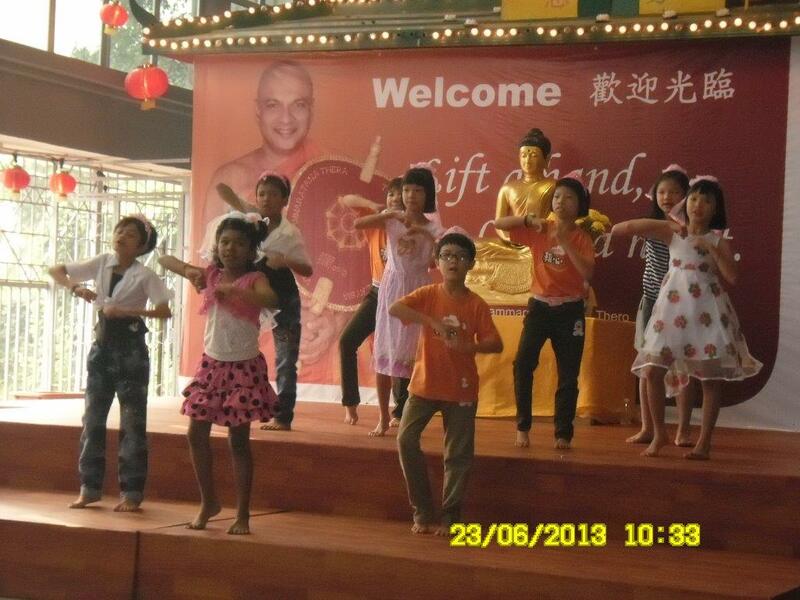 Datuk K. Dhammaratana and his monks, and presentation of gifts. Apart from sponsoring the lunch dana as well as lunch for the 200+ residents of TRWS, Puan Sri also presented all the children with angpows. 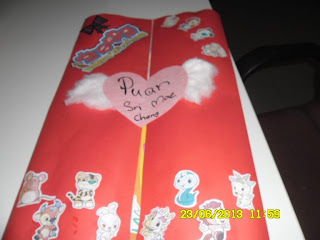 To express their thanks, the children made a special birthday card for Puan Sri. 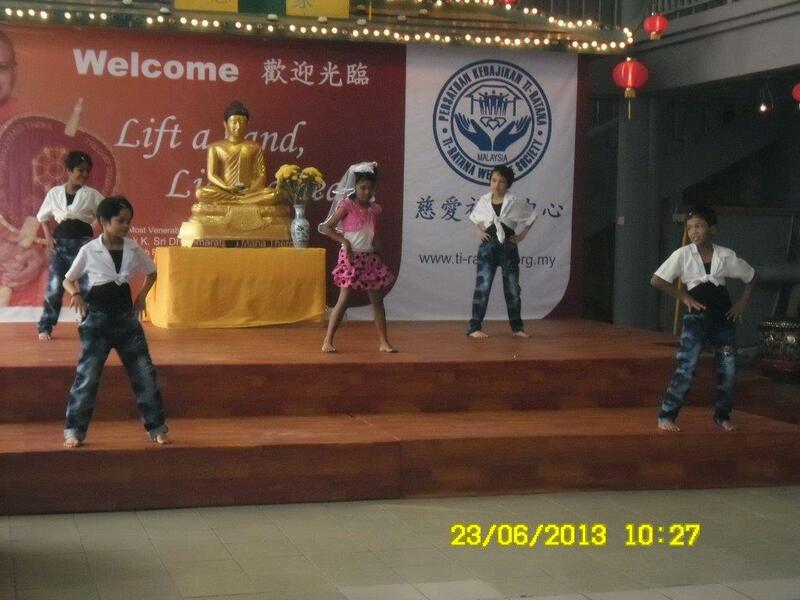 It was indeed a very special and memorable day for the TRWS residents. Ti-Ratana Meals on Wheels and Ti-Ratana Welfare Society extend our gratitude and heartfelt appreciation to Puan Sri Mae Cheng for sharing this special day with the less fortunate. May all the goodness from your meritorious deeds brings abundance of peace, happiness and joy to you and your family. 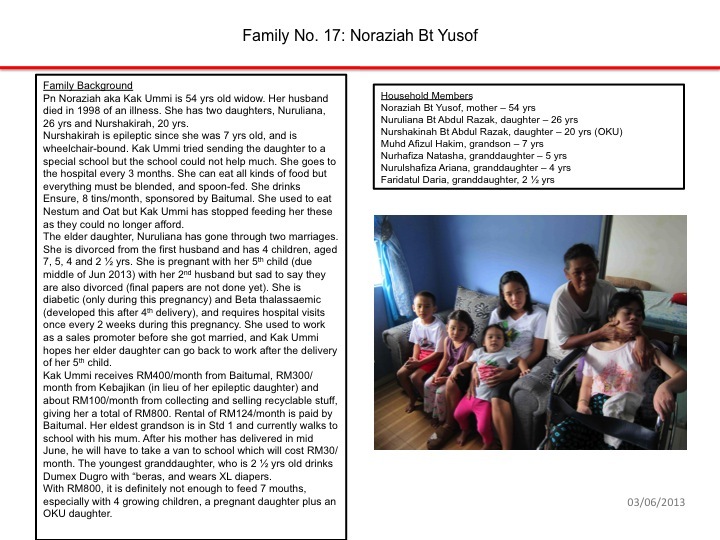 MOW FOOD BANK families expanded to 17, with the addition of 2 families, one from PPR Taman Beringin (Mdm Ng) and the other from PPR Sg Bonus (Pn Noraziah). Groceries were delivered by MOW volunteers on 30 June 2013. At PPR Desa Rejang, families helped to unload the groceries from the vehicle. 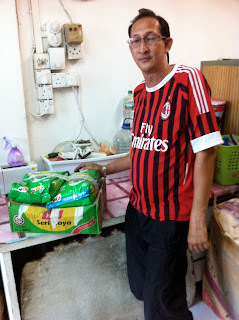 Andrew presenting groceries to Pn Bashirah. Swee Keong presenting powdered milk to Pn Letchumi who has three young children. New family, Pn Noraziah, aka Kak Ummi receiving groceries from Andrew. MOW volunteers with families at PPR Gombak Setia. Ivan with the three cute and adorable children from Mr Chok's family in Jinjang. And Mdm Ng receiving her groceries for the first month, from Ivan. 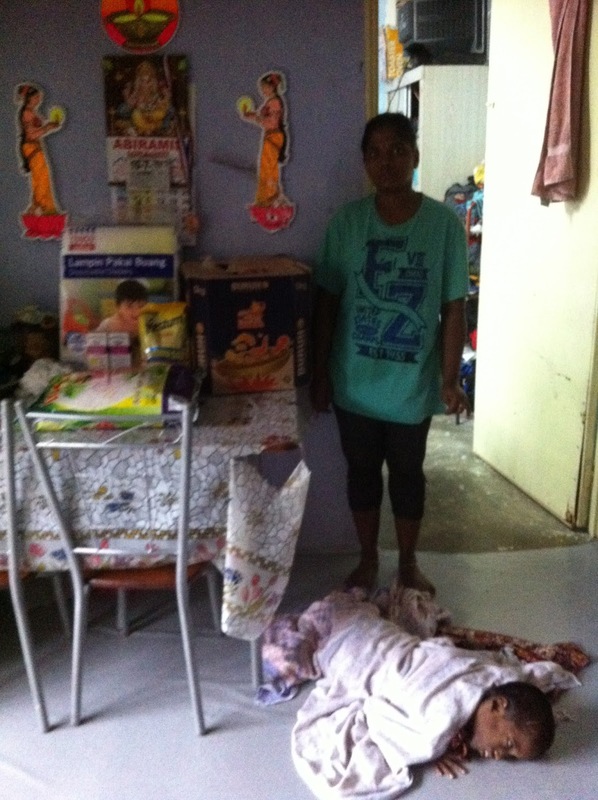 Pn Vijaya from Sentul with her crippled son, Sasi, who is also in our MOW HAPPY CHILD program. With this program, Sasi gets Nestum, diapers and gripe water on a monthly basis. Douglas Hyams with the milo and condensed milk for his down-syndrome sister, Sharlene. Sharlene was delighted with several pieces of new clothings donated by Millie who accompanied Kim in delivering the June groceries to the Hyams. 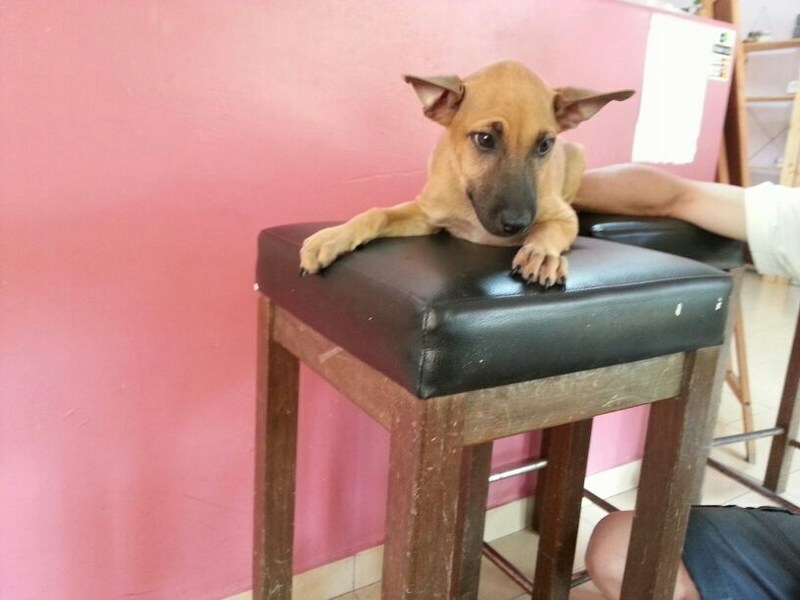 Meals on Wheels Ti-Ratana continues to support Dr Chan Kah Yein and her team in Animalcare in their effort to care for community cats and dogs. 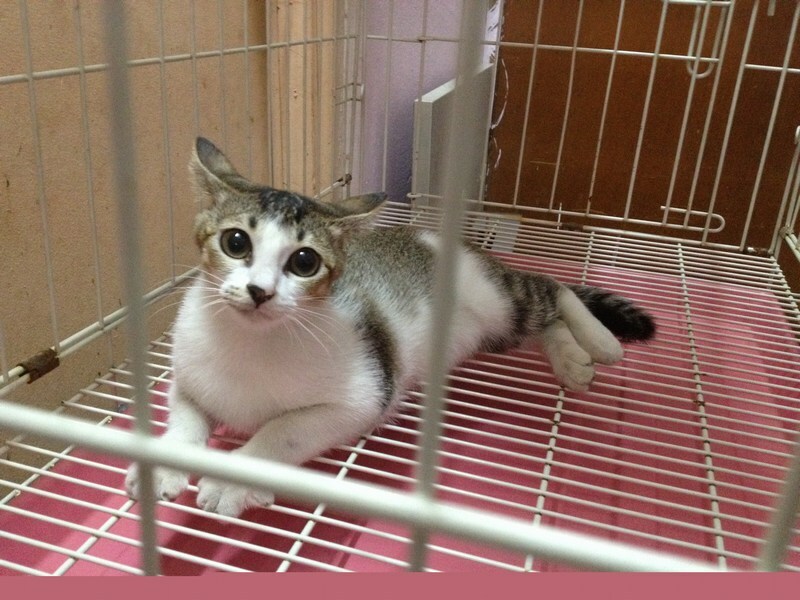 For the month of June 2013, our subsidy was spent on these lovable cats and dogs. 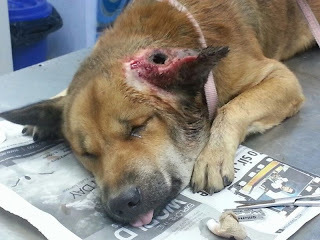 For more details on how the grant is utilized, please click on the links below.